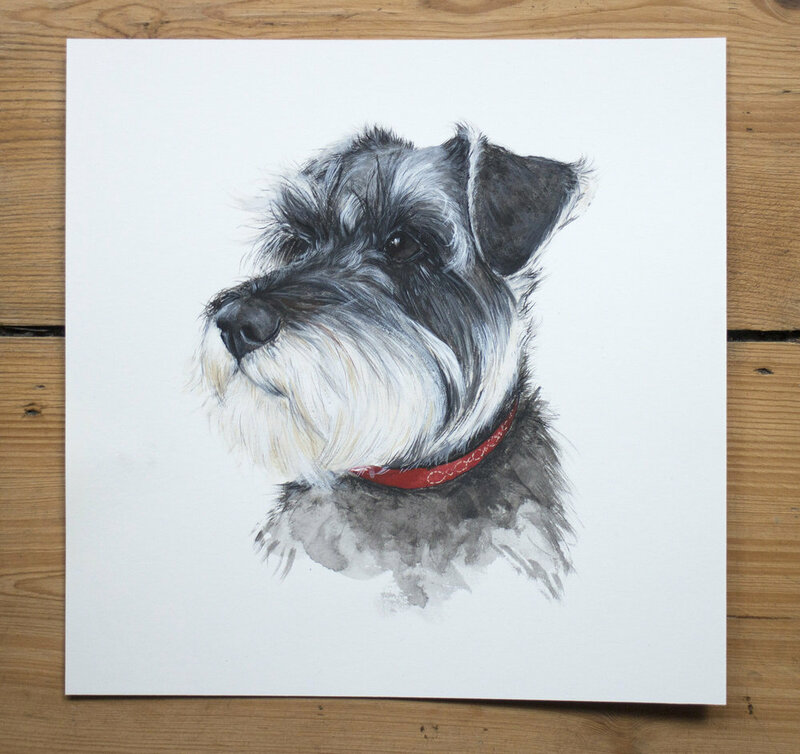 My pet portraits are created in an illustrative style, combining fine detail and expressive mark-making. I love to explore the variety of textures and tones in every pet that I draw or paint, to really make a feature of their individual character. It makes me happy to see how much people adore their pets, and this is something I always aim to reflect in my portraits. I am happy to draw & paint pets in all shapes and sizes - dogs, cats, bunny rabbits, chickens and anything else in between! You can commission a portrait in either paint or pencil - see below for examples of each. Click here to find out about how to commission a Pet Portrait. "I am pleased to say that I am absolutely delighted with the finished result! It captures Ernie perfectly! Thank you so much for making such an excellent job of it."